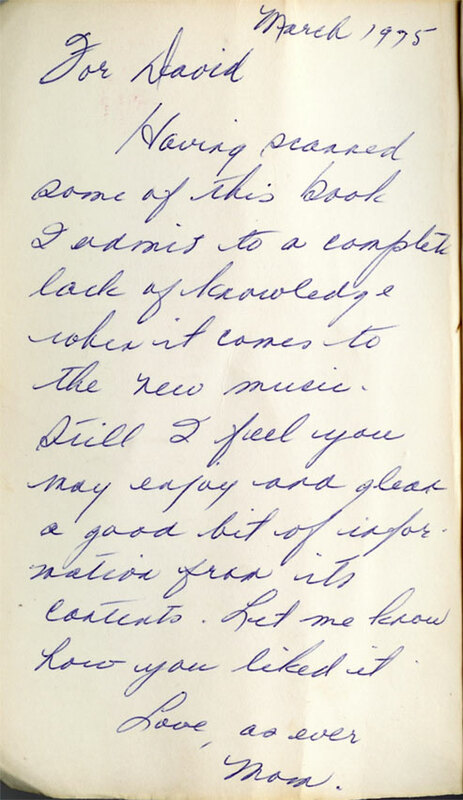 Inleaf from my used paperback version of Christgau’s Any Old Way You Choose It. No clue who David is, but my guess is that he grew into a well-adjusted individual (with Christgau and a cool mom as his intellectual/spiritual guides, how couldn’t he?). Do you know if Joan Baez ever used the nickname “Mom”? The dedication echoes one of her song titles. And she’d certainly be a cool one, as moms go . . .
I’ve been looking for my book since around 1978! How did you get it?